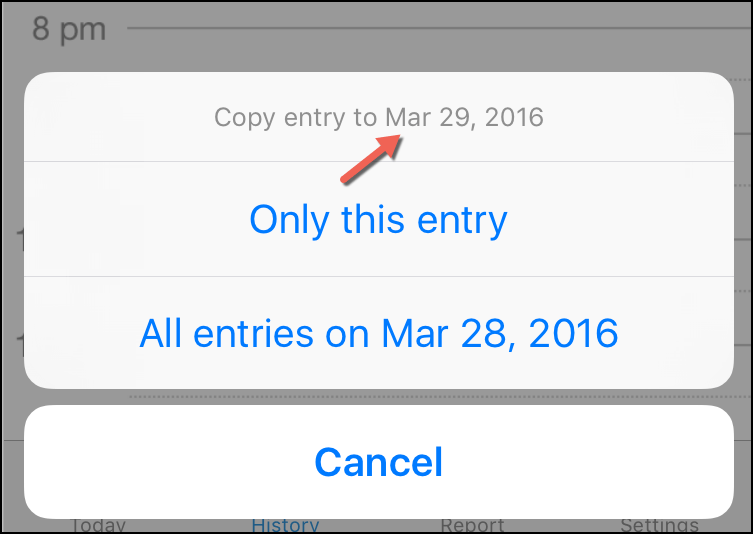 From version 8.40, one can duplicate one entry or all entries from a chosen day to today by tapping and holding that entry in “History” tab (calendar view or list view). If the selected entry’s start time is today, it will copy entry / entries to tomorrow. If the task copied is still running, it will be duplicated as entry with only one second as duration. 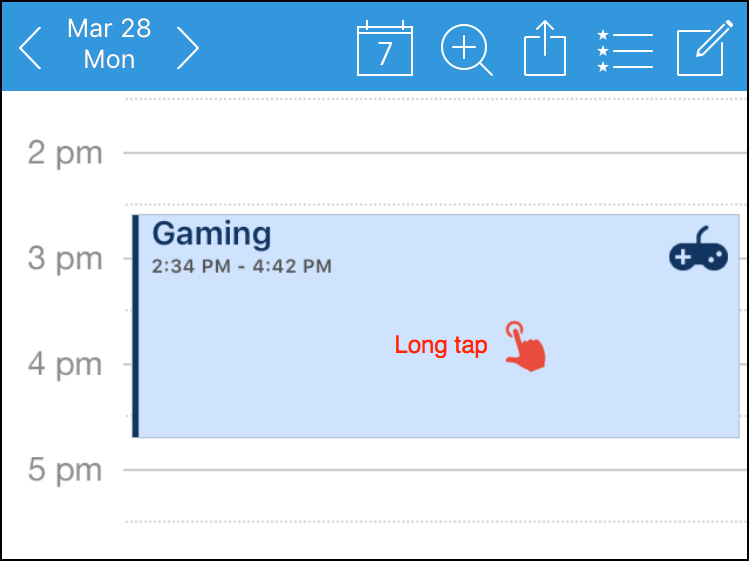 If user has calendar sync and / or Dropbox sync enabled, the new entry / entries will be synced as well.